Holiday Travellers Desk Pvt.Ltd .... Reach us to Reach The World. Passport Application Assistance for Mumbai and Thane Passport Seva Kendra. We are andheri Based Passport agent who provide passport Related Services for Mumbai passport office and Thane passport office. We take your online appointment,paid online passpor feec and arrange proper document for hassel free submission. Document Reqired forMinors or infants Passport application. Passport services like Renewal of passport,Fresh Passport,Minor's passport, change of name on passport,address change of passport,Damage pasport, application,Lost passport application,tatkal passport,urgent passport application,ECNR on Passport. Mira road,Bhayandar,Naigaon,Vasai road,Nallasopara,Virar,Vile Parle,Santacruz,Khar Road. Passport agent Agent in Bandra,Mahim,Matunga,Dadar,Elphinstone road,Lower Parel,Mahalaxmi,Mumbai Central,Grant Road,Charni road,Marin lines,Nariman point. 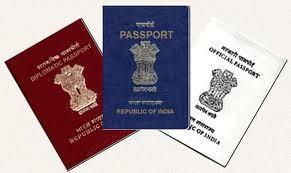 Passport agent in Mumbai,Kalyan,Mira road,Bhayandar,Vikhroli,Powai,MIDC,Kanjurmarg, Bhandup, Nahur, Mulund,Kalwa, Mumbra, Diwa, Dombivli, Thakurli, Kalyan,Mira Road, Bhayandar, Naigaon, Vasai Road, Nala Sopara, Virar, Vaitarna, Saphale, Kelve Road, Palghar, Umroli, Boisar, Vangaon, Dahanu Road,Churchgate, Marine Lines, Charni Road, Grant Road, Mumbai Central, Mahalaxmi, Lower Parel, Elphinstone Road, Dadar, Matunga Road, Mahim, Bandra, Khar Road, Santacruz, Vile Parle, Andheri, Jogeshwari, Goregaon, Malad, Kandivali, Borivali, Dahisar,Vashi, Sanpada, Juinagar, Nerul, Seawoods, Belapur, Khargar, Mansarovar, Khandeshwar, Panvel,Vashi, Sanpada, Turbhe, Kopar Khairane, Ghansoli, Airoli, Thane,Ambernath,Kalyan,Karjat ,Kasara,ulhasnagar badlapur,titwala,vitthalwadi,Neral, Shahad, Ambivli, Titwala, Khadavli, Vasind, Asangaon, Atgaon, Khardi ,khopoli. Passport Agent in Thane,Dombivli,Kalva,Nahur,Chembur,Sanpada,Airoli,Navi Mumbai,Ambernath,Titwala,Vithalwadi,Kalyan,Karjat,Kasara,Diva,Ulhasnagar,diva and panvel,Ghodbunder Road. 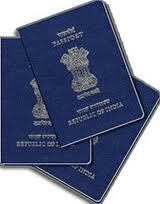 We Provide Passport Assistance Service at Just Rs.500/-per Appointment. We fill online Passport application. We ready necessary affidavits for passport. Copyright 2017 Holiday Travellers Desk Pvt.Ltd. All rights reserved.